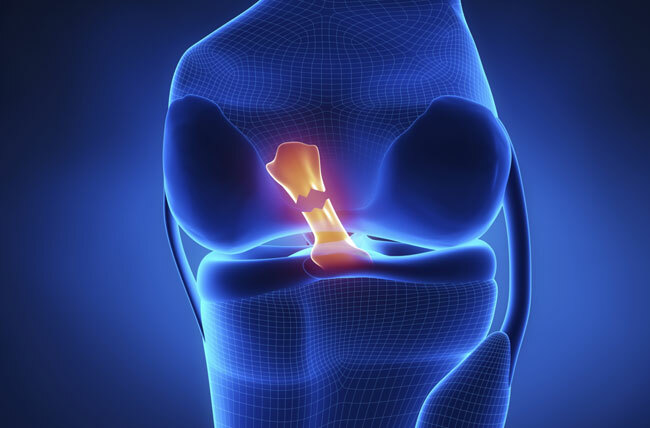 Anterior Cruciate Ligament or ACL tear healing without surgery is possible in most cases. There are some excellent homeopathic remedies which can achieve full healing within 6 months. Of course there will always be cases which will be best left for surgery but even those cases will benefit hugely from the homeopathic remedies for pain & swelling management in the shortest amount of time. If you have the injury of the ACL, combined with damaged medial meniscus and medial collateral ligaments then surgery might be your best option. You can consult your local homeopath or you can Contact Us for any further details or help. If you want ACL tear healing without surgery then we recommend the following treatment protocol using homeopathic remedies. Take a dose of ARNICA 200 and repeat the dose every 24 hrs for 3 days. If the pain is excessive, you can take the dose every 12 hrs. It is expected that the pain will reduce substantially within 3 days. Continue the ARNICA 200 once a day for another 3 days. Start taking one dose of RUTA 30 daily for 1 month. Take one dose of ARNICA 200 once a week. Your pain should be reduced by 70-80% by end of 1 month. Start taking one dose of RUTA 200 once a week for 1 month. At the end of this one month, you should be 90% pain free with almost normal movement of the knee. Start taking one dose of RUTA 1M once in 2 weeks for 3 months. Your ACL should be 100% cured by this time. You can get a MRI done to confirm. When is the Surgery Not Necessary? Surgical treatment is often advised for people with complete ACL tears, especially when it comes to the combination of injuries, such as ACL tears and other injuries to the knee. It is perfectly reasonable to decide against surgery for select patients and most likely, non-operational treatments are advised to the patients with complete ACL tears and no symptoms of knee instability who can still perform in low-demanding sports and are willing to give up the sports with the high-demand pressure on the knee. Also, people who live a sedentary lifestyle and do mostly light manual work will not need to be operated on. Additionally, non-operative methods are preferred on patients whose growth plates are still open, i.e. children. If the ACL tear is followed by a torn meniscus, surgery might be the best option for a recovery. Fixing the torn ACL will prevent the further damage to the knee and abnormal movement that can damage the cartilage and the meniscus. When the ACL is torn, the meniscus cartilage between the tibia and the femur is under a great impact, which can lead to osteoarthritis. Now that we have established that surgery for a complete anterior cruciate ligament tear is not always necessary, let’s look at some pros and cons of surgical and non-surgical treatment. Pros. The first positive thing about surgical treatment for a complete ACL tear is that you will be able to return to any type of sport or other activity that requires twisting, pivoting, heavy manual work, and hard-cutting. Also, having a surgery for your ACL tear will help protect your knee from the possible future damage to the cartilage and other parts of the knee. It offers a great potential for a high functioning knee, which is also a plus. Cons. Of course, ACL surgery brings some cons as well. One of the main ones is that the surgery is not always a 100 percent effective, as some patients may never fully recover, i.e. get the normal functionality of the knee. Also, there are a lot of activities that can be performed quite normally even without the surgery, so for some people, it may not be necessary at all. Last but not least, there are risks and complications that follow every surgical procedure, including the ACL one.